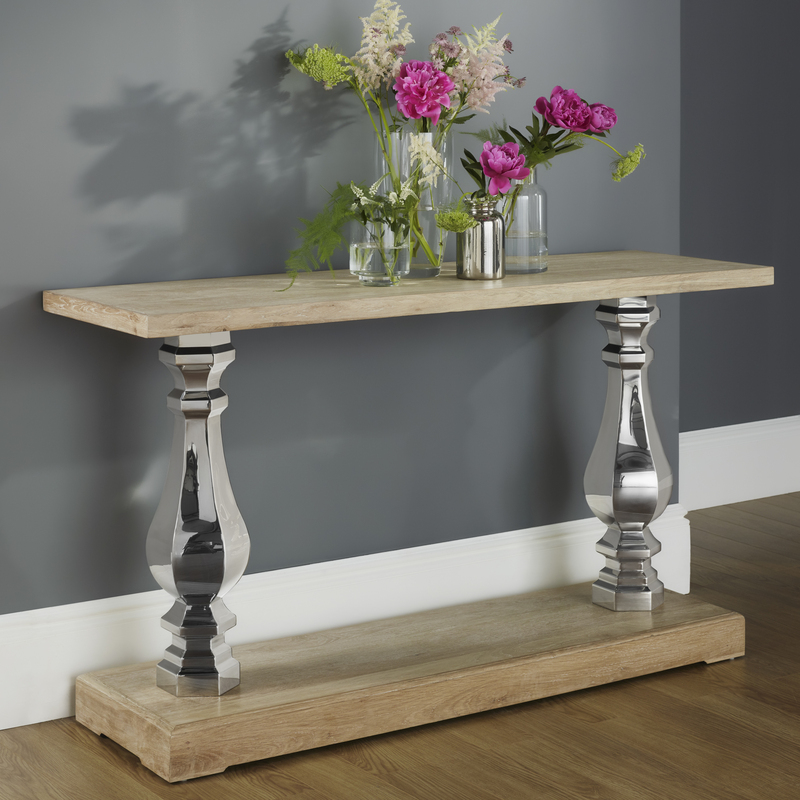 This large Oak console table has two polished stainless steel pilasters. The console table is made from North American Oak and is finished with white wash patina. These items are delivered in one box and require no-assembly.